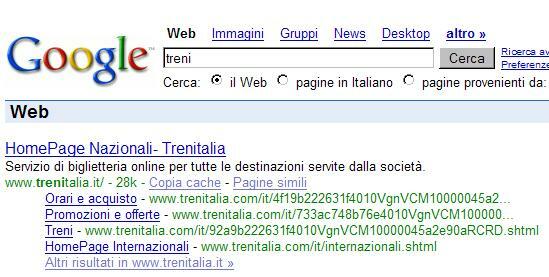 Today I was caught by surprise when I found onebox results in the Italian SERPs. With all the services Big G has been providing I put this one on the back burner waiting for the right time to take a closer look. The time has come. Onebox results catch the eye of any web surfer, even more so the attention of web marketers and SEOs. 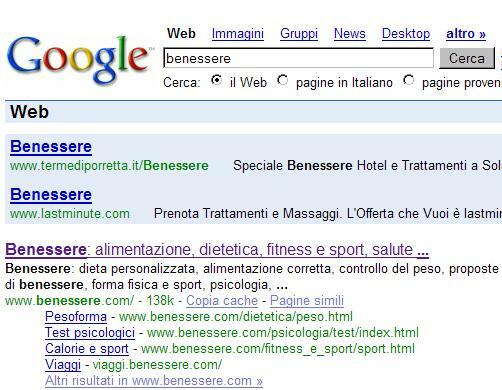 Being placed in pole position on SERPs you can be certain it will catalyze a great deal of traffic to those sites who are being “oneboxed”. 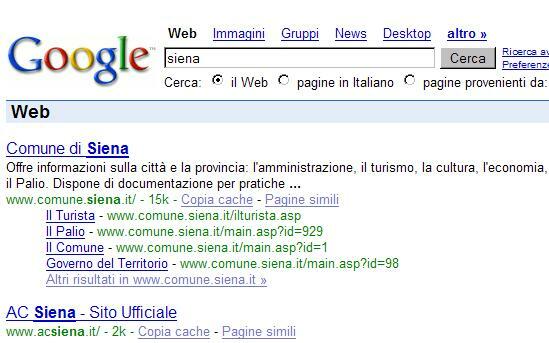 What’s interesting to note here is that the Roma Football Club web site precedes the official municipality of Rome. 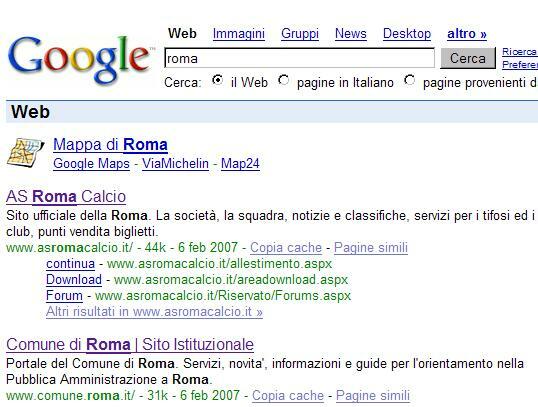 Taking a closer look at comune.roma.it you’ll notice how there are no links on the home page of that site and, to make matters worse, there is a ridirect to another page. There it was again, this time on a commercial web site. Quite interesting.